5 de Mayo is a fun time to study the history, geography and culture of Mexico. As Expats living in Mexico, we love Mexico, her foods, language and traditions! 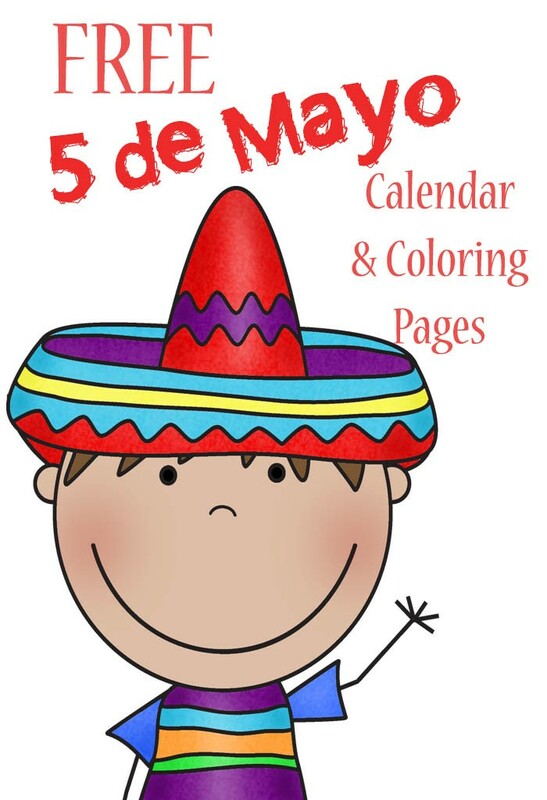 Here is a set of free Cinco de Mayo calendar and coloring pages we've put together to share some of the fun with you! FREE 5 de Mayo Printables! Success! Now check your email for the fun downloadable pages. look for 🌴🎵 in the subject line. You might also like to see these free printables. I’m sharing this on Facebook and Twitter. Thanks for linking up with Thankful Thursdays.